Christina Truong: Let's Get Steamy! 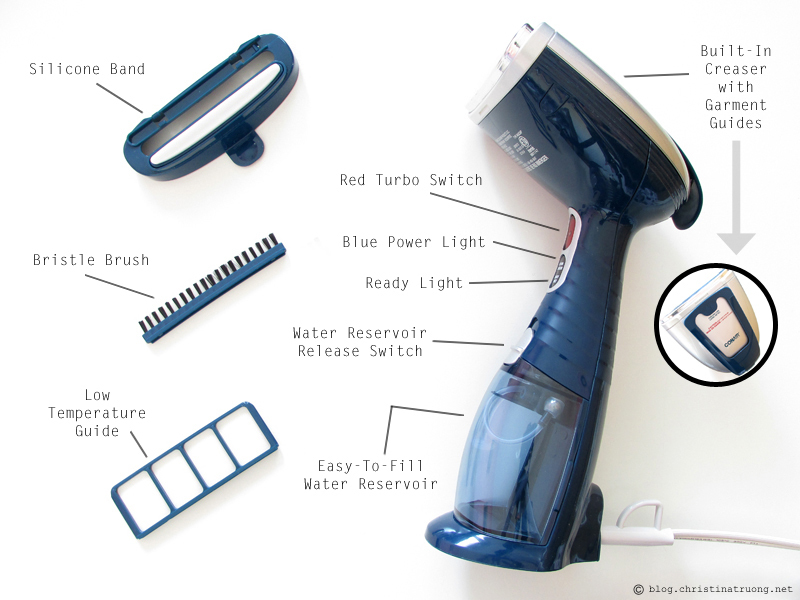 The Conair Turbo ExtremeSteam with Dual Heat Technology also comes with a 3-in-1 attachment, a silicone band which pulls fabric taut for easier steaming, a delicate fabric spacer / low temperature guide to protect fragile fabric and trims, and a bristle brush to loosen fibers for better steam penetration. The steamer did an incredible job at steaming out the wrinkles and in no time at all - it took about 5 minutes to steam an entire dress (pictured below). I went through a couple of rounds in order to get the wrinkles off but it was definitely quicker compared to a clothing iron that would have taken double the amount of time. I never thought that I would love ironing clothes again. The shape of the Conair Turbo ExtremeSteam is not too heavy and allows a comfortable hold. I was able to effortlessly move the steamer up and down while steaming without having a tired arm. Sturdy enough that it will not fall over, this portable steamer can easily be stored away when not in use and won't take up too much space. What are your thoughts on the Conair Turbo ExtremeSteam Steamer? 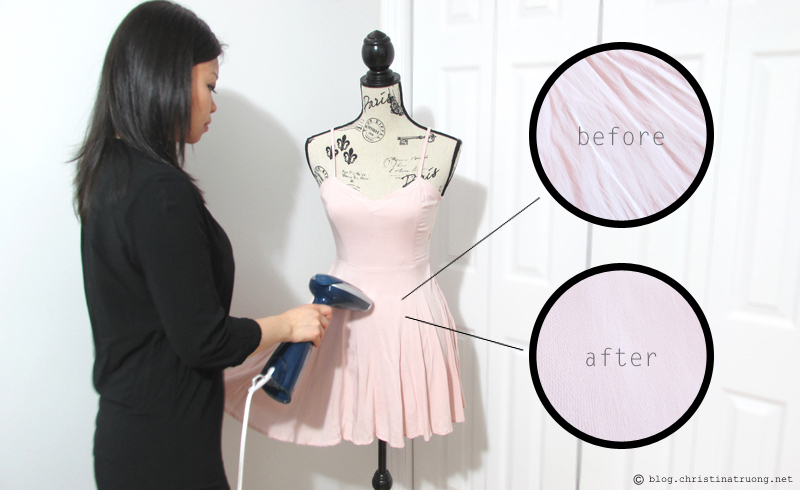 How do you normally iron your clothes? Or are you like me and buy wrinkle-resistant clothing? That's cool. I didn't know they make non-hair products. Yup! Besides hair tools, Conair now has products ranging from steamers, scales, to even grooming needs for pets! Really need to get my hands on a steamer ... ironing is my least favourite thing! Right? A steamer will change your life! This looks like it would be so useful for travel!! !